To apply, please visit American Jewish Word Service’s career site. Please do not contact Gabriel Blau or employed associates in application for this position. 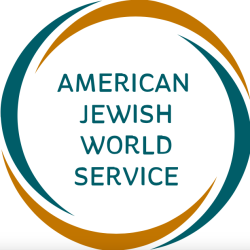 American Jewish World Service (AJWS) is the leading Jewish organization working to promote human rights and end poverty in the developing world. AJWS advances the health and rights of women, girls and LGBT people; promotes civil and political rights; defends access to food, land and water; and aids communities in the aftermath of disasters. We pursue lasting change by granting approximately $40 million annually to more than 500 grassroots and global human rights organizations in Africa, Asia, Latin America and the Caribbean and by mobilizing our community in the U.S. to advocate for global justice. Working together, we strive to build a more just and equitable world. Working as a member of a fast-paced major gifts team, the primary responsibility of the Development Officer is to expand and work with AJWS’s Global Circle, a network of emerging young donors and global human rights advocates in their 20s and 30s, to plan programming, industry events and engagement opportunities that will increase Global Circle leadership opportunities, strengthen the sense of community and achieve fundraising revenue. The Development Officer will also steward and solicit a small portfolio of current and prospect donors in New York and on the East Coast to achieve and surpass fundraising targets and goals. In addition, the Development Officer will play a key team role for all common development efforts in the Major Gifts team. For immediate consideration, click on the link to apply below. Applications submitted without a resume and personalized cover letter will not be considered.